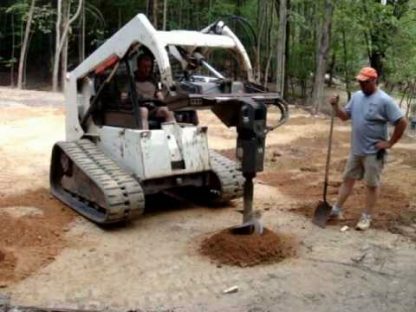 This unit is designed for jobs that require many holes or must be completed in very tough ground. Dig holes with speed and plumb-line accuracy using a Bobcat auger attachment. 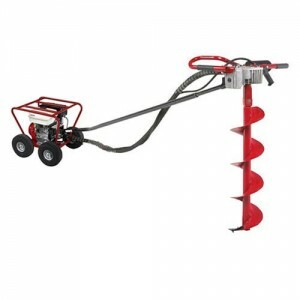 Using heavy-duty hydraulics, the auger attachment bites into many soil conditions with ease and efficiency. Even in hard and rocky soil, the high torque keeps the auger steady and powerful to maintain performance. 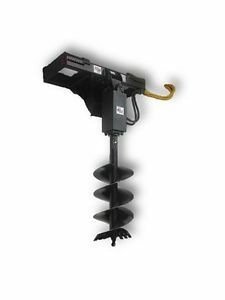 It is the highest torque post hole auger unit we carry and comes with the toughest bits we can find in the rental industry. 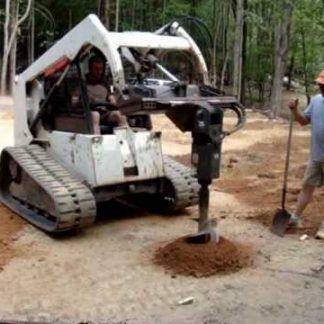 Bobcat skid steers with post hole auger attachment are priced with a 9,” 12,” 18,” 24,” or 36″ bit. When making a reservation, notify your customer service agent which size bit you would like so we can have it ready for you upon arrival. 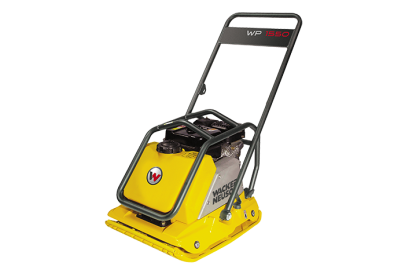 This product is a great option for both homeowners with previous knowledge of equipment and contractors with small to large jobs that have standard to difficult soil conditions. These auger drives deliver the power and force needed to dig through extreme ground conditions including rock, shale, clay, frost, and more. Because this unit has tracks, it is great in soft sandy soil, greasy clay, backfill, and other common soft ground applications. 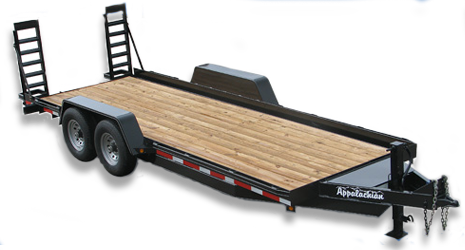 Typically this unit gets delivered because it requires a 3/4 or 1 ton truck to tow it. If you prefer to tow a post hole auger unit yourself and do not have a qualifying truck size, consider renting our Stand-On Mini Skid w/Hydraulic Auger which requires only a standard full-size truck.